During the manifestation Companies and personalities which made special achievements during the last year, Business Journalists’ Jury awarded our Managing Director Mr. Vladan Batanovic with the Manager of 2009 prize in the field of science. The ceremony was held on the 22nd of January in the Serbian Chamber of Commerce. 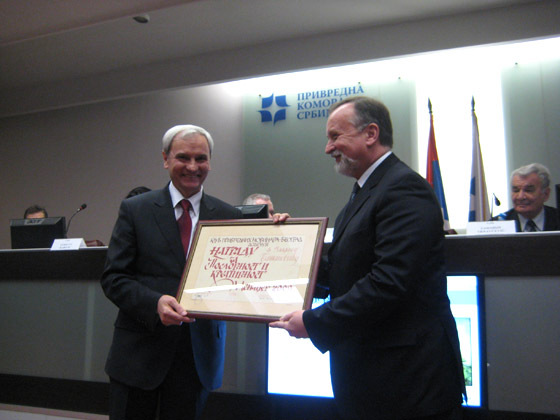 The plaque to Mr. Batanovic was given by the Serbian Minister of Energy, Mr. Petar Škundrić. Post Published : 22. January 2010.